Disclaimer: I just deployed this code to my Shopify site and it’ll be a few days before I can verify that it’s actually working. 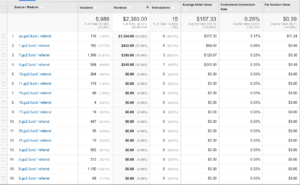 A quick search for conversion tracking with Facebook and Shopify returns a couple of half-hearted setup instructions that involve dropping the pixel code into two places in your Shopify dashboard. While this is functional, you’ll be missing out on some very key events: AddToCart, InitiateCheckout, and Purchase. Shopify has one such article here that does a thorough job of showing the two places that tracking behaior should be added. If you’re lost, follow the instructions here before continuing. Following these instructions will get you to the point where your Facebook Pixel is being loaded in the head of your layout liquid file and in the checkout additional scripts section. 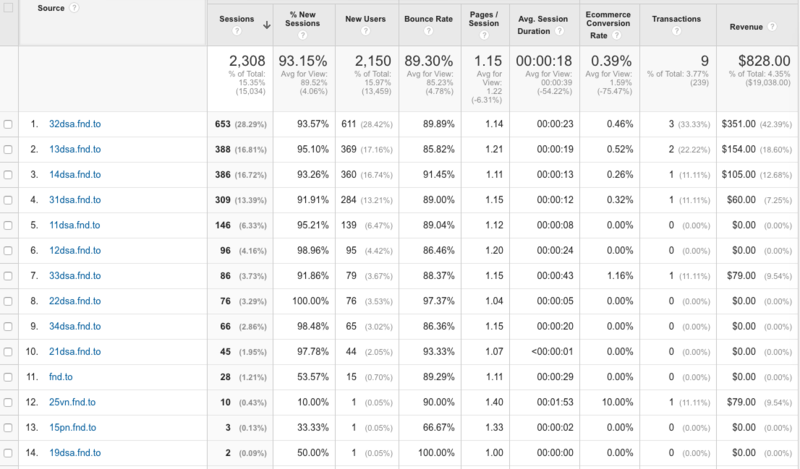 Now we need to enhance our conversion tracking with those events listed above. Let’s start with AddToCart. This gets called when the user, obviously, clicks the AddToCart button. The problem is, clicking add to cart ends up redirecting you to the /cart page without loading a page. Because of this, we need to track the event before they leave the page on which they clicked the AddToCart button. Go into your Online Store > Themes dashboard, click the “…” button, and select “Edit HTML/CSS” to get to your theme editor. Now, this is sufficient to pass the class, but since we’re overachievers (otherwise why would we be tracking with a Facebook Pixel in the first place? ), we’re going to enhance this with the information about the product. There is one significant compromise that I’m making in this example for simplicity. We’re using the product’s price_min value to assign a value to the AddToCart event. If you have variations with a dramatic difference in price, this may not be ideal for you. If you’re interested in this, shoot me an email and I’ll point you in the right direction. Next up, InitiateCheckout. This event fires when the user clicks the “Checkout” button from the cart. The edit will look similar, but this time we’re editing the cart.liquid file (in the HTML/CSS editor again). In my template the form is being identified with “cartform”. Because there are two buttons on this page, we’re using the “click” handler instead of the submit handler. With the InitiateCheckout event, we have the following parameters: value, currency, content_name, content_category, content_ids, num_items. We’re going to ignore most of them for simplicity and just provide the value that we checked out with. 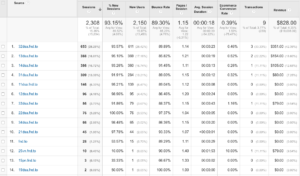 This is the most important thing for determining the ROI on our advertisement. Now for the event we’ve all been waiting for. The purchase event represents the last stage in our sales funnel. Because Shopify handles all of the actual payment handling, we don’t have access to the final page in our theme editor. Instead, we have to find the checkout snippet field in our dashboard. We’ll be adding the Purchase event which accepts these parameters: value, currency, content_name, content_type, content_ids, num_items, order_id. You could certainly get more fancy than this.. but this will give you the main thing that you’re interested in. The tracking information on the confirmed purchase. Now you can optimize your Facebook ads for actual sales numbers rather than just participation in the checkout process. In the month since my last update, we’ve been working hard, but it hasn’t been on the hardware. Instead, we’ve been gathering all of the media together in order to launch our Kickstarter campaign for our reflow controller that has been dubbed the Reflowster. Anyone who has spent any time on Kickstarter or backed any projects probably knows that the video is probably the most important part. Naturally, we’ve spent a good amount of time filming, refining, and editing our video. 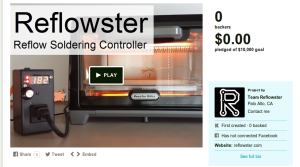 Before getting started on the filming, we spend some time writing an outline for our video which relied heavily on a detailed discussion of what the market for Reflowster is. Ultimately we decided to target three somewhat distinct groups. The first group, and perhaps the most obvious, are people who are already familiar with reflow soldering and perhaps even solder their own boards using this technique. For this group, we knew we needed to present an angle that would convince them to switch from their existing solution to Reflowster. The next group are hobbyists that are familiar with designing a custom PCB and are used to hand-soldering components to these boards. In this case, we decided to try to show this group the reflow soldering process and emphasize how easy and beneficial reflow soldering is compared to hand-soldering through-hole parts. The last group are the Arduino developers. These guys have never soldered their own PCB before, but are familiar with the Arduino boards and are comfortable with the programming aspect. These users might have existing breadboard projects or have maybe soldered directly to the Arduino before. For this group, we aimed to show that ultimately PCB design is not as difficult as it might seem and that in order to get the most out of your personal projects, it may be time to graduate from a pre-made Arduino board into a custom designed PCB. Once we had a complete outline, we wrote the script. The script follows the outline exactly, but fleshes out each section into a readable voice over and a list of media that will get displayed for each scene. The media in particular was an important part of this process as it served as a checklist for us on our “film day” where we got together with as much Reflowster paraphernalia as possible and took photos and video to effectively showcase our product. The next step was to refine the script and film/record it. We decided to do this in a few waves because at this point we didn’t even have a draft of the video to judge for content, length, and fluidity. We filmed ourselves on a couch with a Galaxy S4 rubber banded to a tripod. Certainly not the most professional of video setups, and we later refilmed the video and voice-overed the audio. That said, this first take was an invaluable tool for gauging the flow of the video. Assembling the video was a bit of an exercise in frustration as it was my first time in years using iMovie. Definitely do not recommend the program unless you have no other options, which is unfortunately likely to be the case. However, once the movie was mostly assembled, it immediately became which parts worked well, which parts needed refining, and where additional footage could be inserted. A few more days of recording, re-recording, voice-overing, and some finishing touches and the video was in a place that we felt was good enough to release. At the same time as the video work was being done, we also started working on the text and image content of the Kickstarter page itself. We basically figured that the text should reiterate what was said in the video but should go into more detail for those backers who are interested in the details. One of the biggest things I noticed here is that the pictures and charts are extremely useful in breaking up the text and providing an easier to digest experience. We revised the content internally a few times, and have now entered a “preview” mode where we’re sending our Kickstarter out to a few people to solicit feedback. We plan on working on this feedback over the next week and then submitting the Kickstarter for approval at which point we expect to wait approximately another week for the hardware project approval. Once we’re approved, we plan on launching in early April. Through all of this we’ve also been refining our launch plans which now incorporate Twitter posts, a website, and out reach to friends, family, and key people involved with hobby electronics. 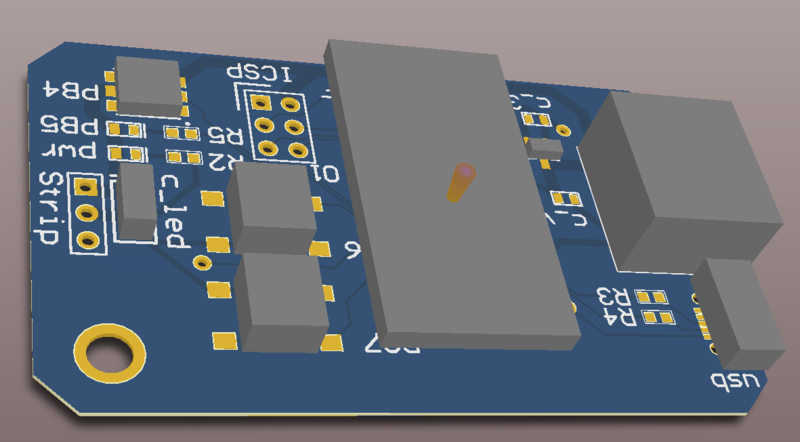 For previous boards, I’ve never had a need for it, but Altium provides a neat feature for modeling the 3D bodies of your components. While many hobby boards will have plenty of space and components with a very simple vertical presence, certain projects and components may be a little more complicated. 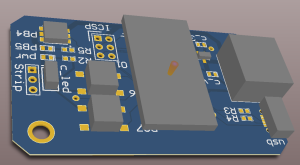 In my case, a few components, would stand off from the board allowing space to place certain components underneath them. Often this would be enough space for a microcontroller or flat parts but not enough space for headers, connectors, and larger capacitors. When designing a component in Altium, you have the option of specifying a number of “3D bodies” in addition to the pads and silk screens that you are probably already familiar with. These 3D bodies give you the ability to specify in a fairly simple way the vertical component of the part. While nowhere nearly as sophisticated as a 3D modeling program, this is quite sufficient for describing the basic shape of a component in 3D including overhangs, shaped extrusions, cylindrical buttons, and even spherical bodies. The most basic benefit of using this feature is that you get access to a much more powerful component placement rule check that takes into consideration the 3D bodies, when available. The other benefit is that you can now get a better feeling for what your board looks like in 3D view. Last, but certainly not least, this 3D PCB can be exported in a format that is compatible with 3D modeling software so that you can better model either multiple circuit boards or the PCB’s participation in an enclosure.